Car Ferry Reservations available for purchase for all July and August rental. This well-appointed Farmhouse Colonial rests on two private acres on a private road. Conveniently located, Vineyard Meadow Farms is a short distance from Long Point Beach, considered by some the best beach on the Island. 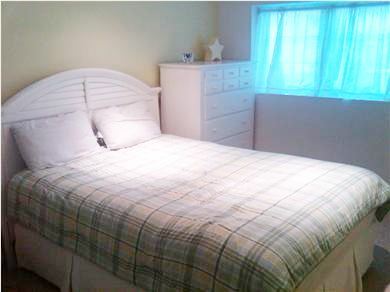 The home was built for families in mind, with three bedrooms upstairs, a master with queen bed and its own bath. 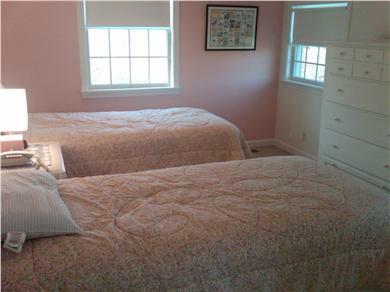 In addition, there are two bedrooms that each have two twin beds and share a hall bath. 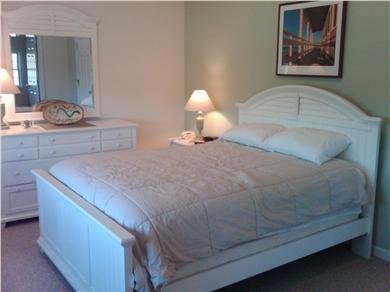 Downstairs, there is a bedroom with a queen bed as well as a futon in the media room. These rooms share their own full bath. All bedding is top of the line Sterns + Foster. The kitchen has all things you might need for enjoying the bounty of the Vineyard with your family, including a Bosch Dishwasher and a gas range. 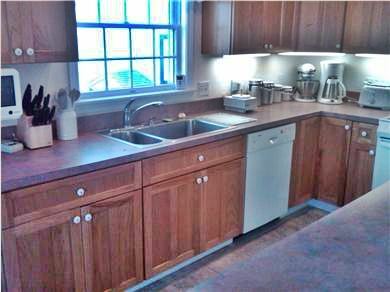 It also includes a Kitchen Aid Stand Mixer, Cuisinart Food Processor, Lobster Pot, and Weber Grill on the outside deck. You'll also find over 30 cookbooks and all necessities to ensure you will be able to dine with your family in style. 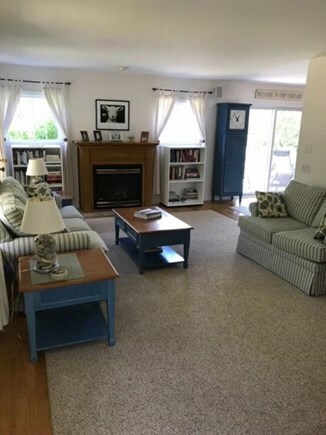 Excellent house, clean, neat, all items marked well. Comfortable, private, quiet. Would go back in a second! The owner was accessible when needed. One a scale of 1-10, easily a 10. We are truly fortunate to have found this vacation home. The description and amenities are accurate and top notch! This property is secluded and centrally located, offering privacy and at night you can even hear the ocean waves off in the distance. Every element of the house is clearly explained and every need thought of. We have stayed at other properties but they do not come close to offering the ones that this does...you instantly feel transported as you enter and part of the family. 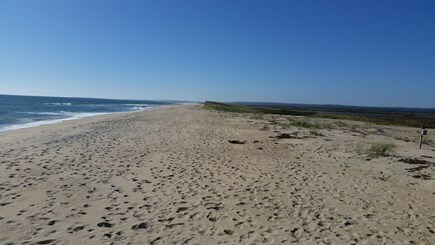 Make sure you visit the Long Point Wildlife Refuge and of course Edgartown. 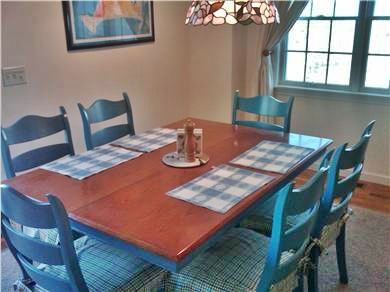 A True Haven in Vineyard Haven! I can't say enough good things about our week in this wonderful home. It's in a beautiful setting, and the house itself is bright, airy, cheerful and incredibly welcoming. The decor is so tasteful and comfortable; and it's clear that the host gave a lot of thought to everything that would make guests feel at home. The kitchen is roomy and well-stocked with a full complement of cookware and utensils; the bedrooms are beautifully appointed and very comfy; and the living room is so cozy that we enjoyed spending our one rainy day curled up there with books. And the front porch and deck are perfect for relaxing with a drink. It's the perfect Martha's Vineyard home. 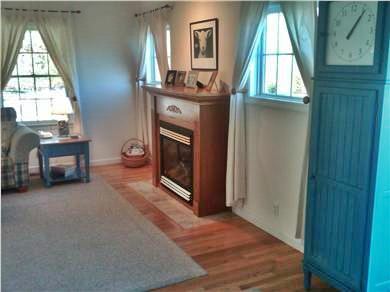 The location is great; quiet and totally private (you can barely see any neighboring houses! ), but convenient to every place on the island and close to the car ferry. Wonderful Vacation Home - Gracious Host! We spent a week at this house last summer and were immediately enchanted by the warmth of the home. It is clean, well decorated and welcoming. 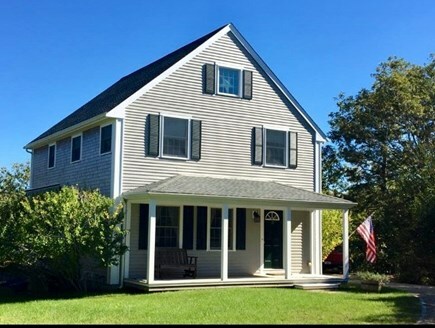 Easily located to all parts of the island and the homeowner is extremely warm and knowledgeable about MV and all it has to offer. We were so happy with the vacation, the accommodations, location and total experience that we are returning for our 2nd year! We've rented this home for 10+ years and always tremendously enjoyed our stay here. It is very well maintained, very well equipped, always clean when we arrive and the owner is extremely helpful and responsive should any problem arise. (which has very rarely happened). We enthusiastically recommend this home! 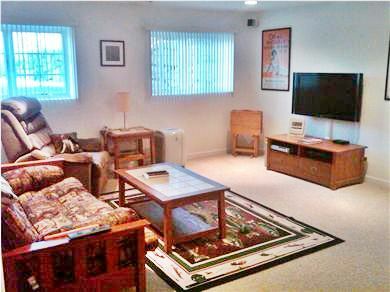 We have rented Ron’s property for years and it is a phenomenal rental. The lay out of the house is perfect for large families to be both together and spread out. With small kids we especially appreciate the basement as the movie/board game/nanny quarters! Ron is meticulous about the upkeep of the house which only makes it a joy to sleep, cook and hang there and the location is perfect. Please take care of it for my return! Since coming to the Vineyard in the 70s as a child, I knew one day I'd want to own a piece of it! In 1986, we decided that we would get started with a purchase of land in Vineyard Meadow Farms, a beautiful part of West Tisbury, close to Long Point Beach. We finally built in 2000, deciding that the best way to afford our dream home was rent it part of the Summer months, and have some guests [prefer not to call them renters] that have been coming back every Summer for more than 15 years! We live in the New York City area, and get to MV at least monthly all year round. In addition, I serve as a Trustee on the Vineyard Meadow Farms Association. Our home is located on a private, paved road, about a mile south of Edgartown-West Tisbury Road. The property is 2 acres, and the home is set back about 800 feet on a peastone driveway, edged by cobblestones. We have tried to anticipate everything we'd have wanted for a perfect Vineyard Vacation. Our home has central air, and gas forced air heat. Each room is equipped with a USB outlet, and a fan, and our audio system has bluetooth connectivity, so you can play your favorite tunes. Our side deck has a Weber Grill connected to the home gas supply, and an electrically opening Sunsetter Awning, to provide you with shade when desired. The home has an outside shower, and a beautifully cared for daylilly garden. We supply beach equipment, and all the kitchen small appliances to ensure that when you eat in, that you can enjoy the bounty of the many local farms found on Martha's Vineyard. We knew that we wanted the peace and beauty of an up-island town, and felt that West Tisbury was just up-island enough, without being too remote. West Tisbury has wonderful attractions, such as Long Point Beach, and the Farmer's Market, and has exceptional restaurants, such as State Road Restaurant, our very favorite on the Island. We have a nationally recognized public library, the Polly Hill Arboretum, The Field Gallery and Sculpture Garden, Alley's General Store, and the Martha's Vineyard Agricultural Society, home of the Annual Agricultural Society Fair.